One topic that is interesting to nearly everyone is – money. We need money to live and to prosper. If we don’t have any money, things go south quickly. This post is about the way we obtain money, primarily the scale at which we obtain money. This is often referred to as the pay scale or how much employers are willing to pay for a given task within a company or industry. What’s ironic about the term, pay scale, is that they don’t define how the pay is scaled. Understanding this difference can be the fundamental to retiring when your forty years old, as opposed to sixty-five years old. Salaries are a common way to pay employees and are based on the logarithmic pay scale. Salaries consist of a base pay, which is a set income regardless of the number of hours worked, although 40 hours is often expected. In addition, it is relatively common that salaried employees will receive bonuses for doing a good job, but their base salary will usually dwarf the bonus. The positive aspect of salaries are that salaried income grows quickly, but hit a maximum as the employer puts caps on the base salary. 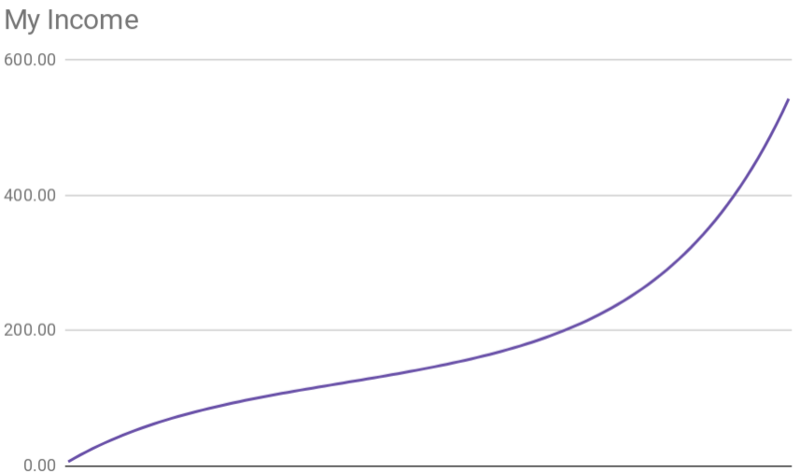 Promotions, will simply increase logarithmic cap / maximum, but a cap will still be there. Unfortunately, this often leads to a complacency, where there are diminishing returns for employees to work harder. In terms of who has salaries, typically it is white collar workers and executives. Wages are the most common way to pay employees, 59% of Americans are paid wages. Often, these workers are paid hourly or on delivery of a product, with additional pay for overtime and no pay for time not worked (minus any vacation time). Wages are often given to blue collar workers, consultants, or temporary employees, and will often not include many of the benefits offered to salary employees. The positive aspects of wages are that they grow slowly, but often don’t have any hard maximum. Promotions will often increase the slope of the linear pay, but there is a risk to that. Unfortunately, this style of pay does put the payee at risk, if they get sick they cannot work they wont be paid. If the payee works too often, they may make too much overtime and their employer will hire a new employee and cut their hours. If the payee is a consultant there is a risk they cannot find a job. On the other hand, it’s possible to make more money with wages, especially in consulting than salaries. Investing is probably the best way to scale pay, as it lets money work for you. Investments are a way to buy labor, make money off the labor, then reinvest for more. Investments can take the form of being a business owner, property owner, or owner of a company (via stock). The key differentiator in the previous examples are that the value comes from owning something. The positive aspects of investments are that although they grow slowly, they increasingly grow with time. Although, the chart above may look very desirable, it also comes with a high risk. Many investments do not work out and / or require considerable effort to grow, so the risk must be heavily weighed. If however, the risks can be avoided the payoff is often larger than either of the previous options. It’s also possible to both work and invest, which I do myself. By working and investing it’s limited risk, but also lower growth, so it’s often worth it. 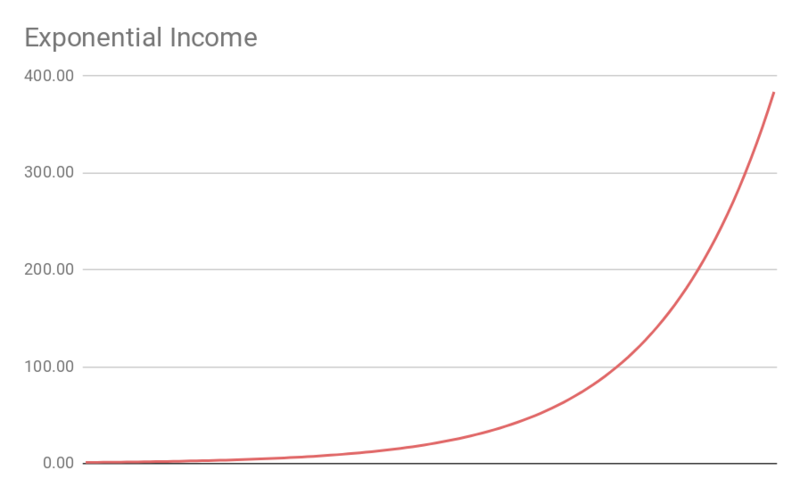 As you can see, the exponential pay scale can eventually lead to dramatically more income. 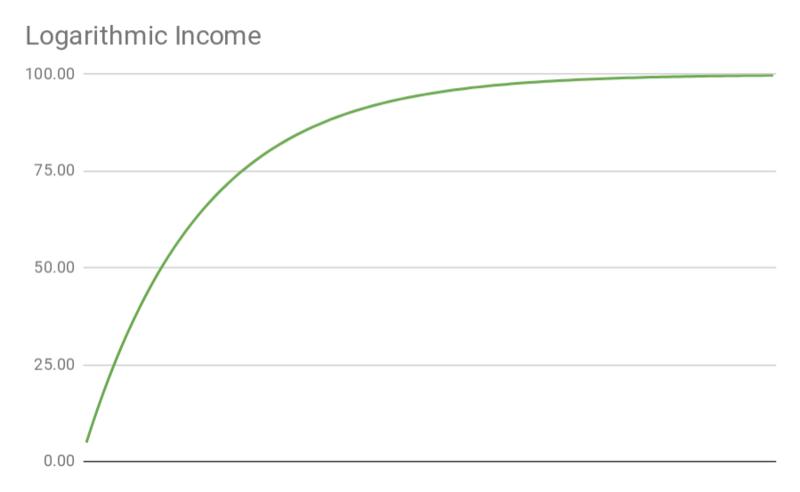 Unfortunately, most of us don’t have a choice between what we do at a given time, and are often stuck with either a linear or logarithmic pay scale. Thus, it’s important to attempt if possible to eventually move our way to an exponential income – if possible. 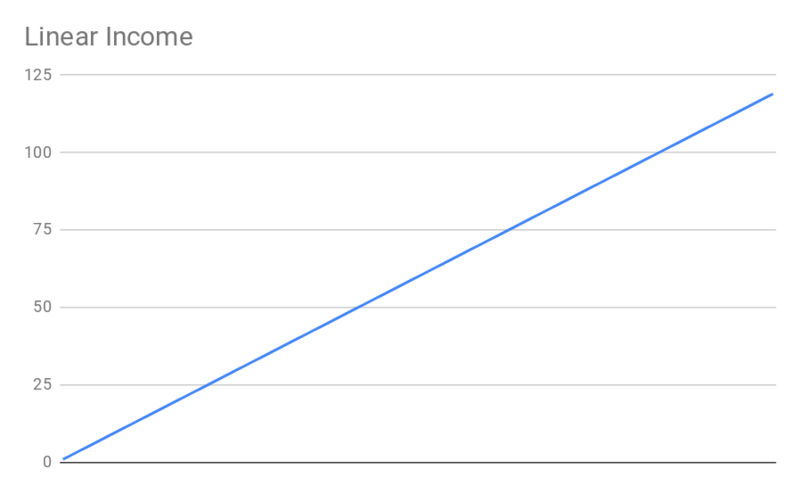 The goal is to eventually make all of my money work for me in an exponential way, however until that time I’ll be a salary man. 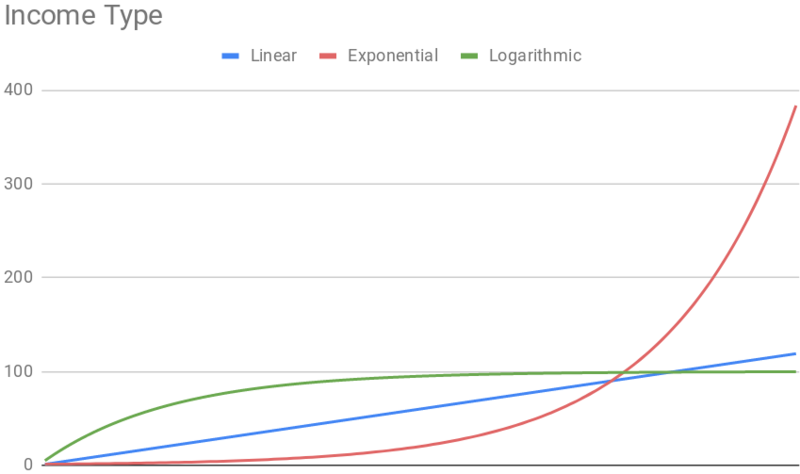 As you can see from the graph above, only near the end of the time-frame does the growth of the exponential rate start to take over.